If you are looking for a quick and easy craft to do with your kids then look no further. This easy valentines day craft for kids will have your littles busy for ages and won’t drive you crazy. 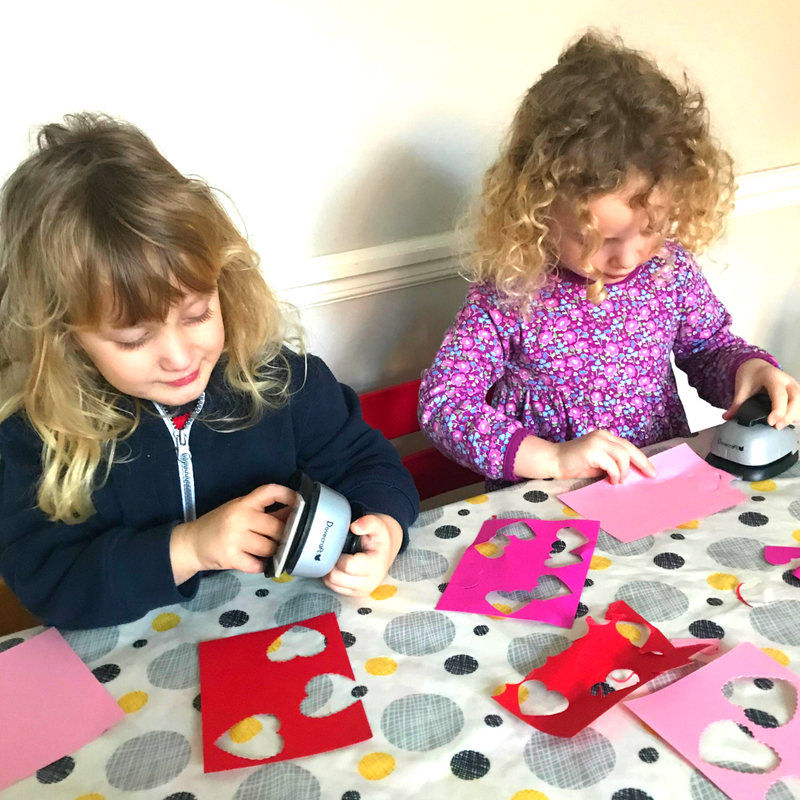 These heart flower cards took a few minutes to set up for my 3 year old twins and then I was able to let them get on with it. They were able to do all the sticking themselves and as long as I kept an eye on how much glue they were using it wasn’t at all messy. They had fun doing it and I think the end result is really cute. All you need to do is cut out the shapes and get out the glue. This is one of the crafts that I have really been able to let my 3 year olds loose with. That was basically because I have two heart punchers which have guards on the bottom so that they could cut out all the hearts themselves without any potential of loosing fingers!! They had a great time as at that age they just love to feel independent. It kept them quiet and occupied for ages. You can see from the picture how engrossed they were in the task at hand. I think we will be giving daddy and nanny a card each for Valentines Day. I am sure that they will love them as much as the girls loved making them.